Some causes of PT are incontrovertible. Dural fistula and Sinus Stenosis are like that. So is carotid dissection. Carotid loop is another story. I believe that these normal anatomical variants, which are overwhelmingly benign and silent occasionally cause pulsatile tinnitus. The history is a slow onset of constant unilateral sound on the side of the loop, which cannot be suppressed by gentle neck compression (which occludes the jugular vein and not the carotid artery). 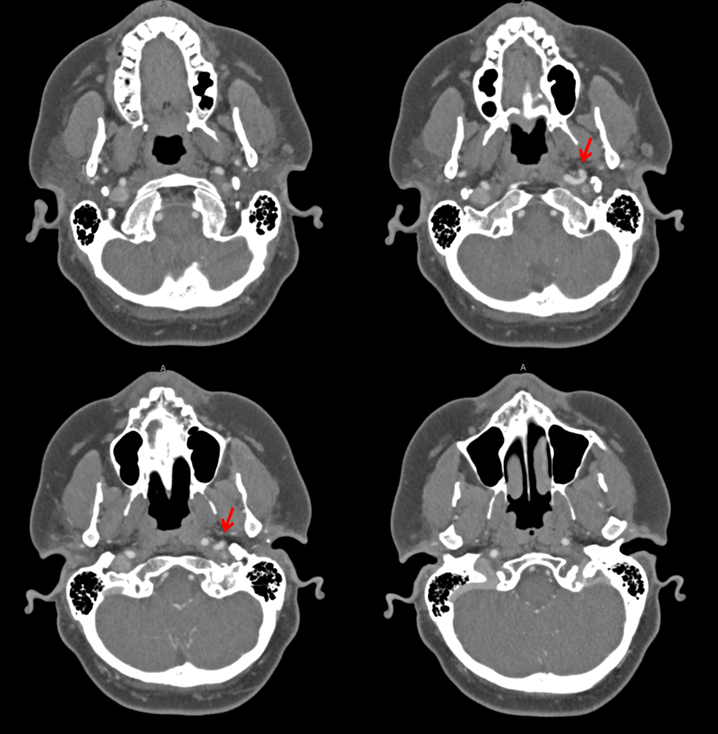 Vigorous compression would occlude the carotid and the sound would be expected to stop. 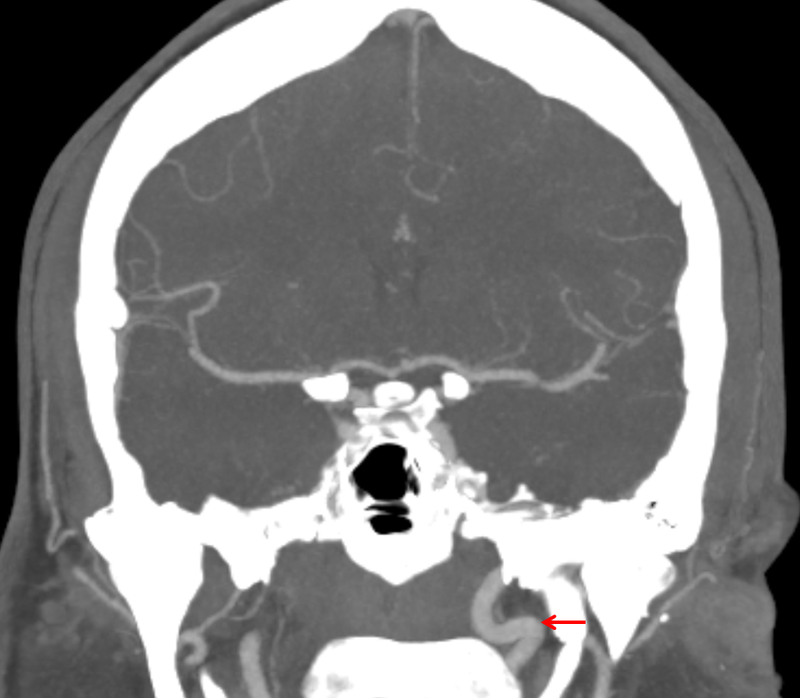 However we don’t recommend this maneuver because of small but real chance of carotid artery injury (dissection). 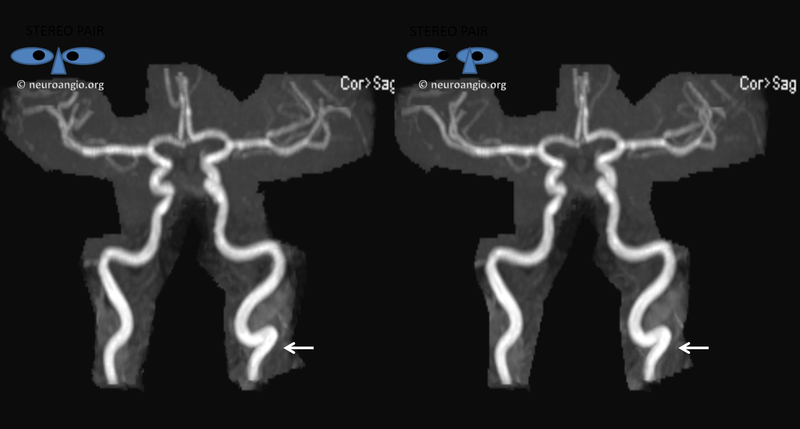 So, when a comprehensive imaging workup is done and nothing except a high cervical loop on the side of constant, low frequency, whoosh-like pulsatile tinnitus is found, i believe that carotid artery loop is the cause. A balloon test occlusion would prove this beyond doubt if the patient were able to hear the sound in the angio suite and willing to undergo the test. We do not recommend it however because of a very small but real risk of carotid artery injury / stroke with a BTO, and because there is no safe, reasonable method to get rid of loop-related pulsatile tinnitus. Management is conservative. Thankfully the sound is typically mild.